Last year in the U.S., GSK’s vaccine earned just £3 million of an £88 million ($107 million) worldwide total. That’s in comparison to Merck’s global total of $1.9 billion for the Gardasil franchise. The results make fascinating reading. On average, Pokemon Go players increase the number of steps they took each day by 1,473. That’s a 25 percent increase over 30 days. If the same effect plays out across all Pokemon Go users, that translates into a dramatic increase in activity. Ultimately, Turner hopes that his team’s work will lead to the biopsy needle being traded in for its much finer blood sampling counterpart. And as part of the swap, a more personalised and precise way of treating people with cancer could be on the horizon. Workshop participants will discuss challenges with the traditional phased drug development paradigm in the age of targeted therapies, best practices for cancer drug development and review, lessons learned from recent expedited drug approval processes, and evidence requirements for cancer therapies before and after regulatory approval, as well as the mechanisms needed to generate this knowledge. The concept of precision medicine means that individual patients have different best treatments for them. For those patients with an EGFR mutation at least, and very likely for other patients with other driver mutations, the best therapy by far is still likely to be their oral targeted therapy, and it would be a grave mistake to deflect that choice because they are swept by the tide of excitement for immunotherapy. Merck now has 360 clinical trials underway involving Keytruda, including more than 200 combination studies. That by itself would easily eclipse all but the biggest pipelines in the industry. KEYTRUDA is the First Immunotherapy to Show Improved Overall Survival Compared With Chemotherapy in Urothelial Cancer. Vanucizumab was supposed to be Roche’s answer to the biosimilars of Avastin that are now steadily winding their way through the clinic on a short path to regulators. But in a Phase II head-to-head between new and old, the successor drug failed to distinguish itself. 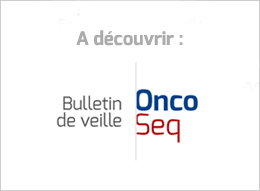 Submission based on results from Phase 2 study CheckMate -275 evaluating Opdivo in patients with previously treated platinum-refractory metastatic urothelial carcinoma. The data from the TERRAIN study demonstrate improvement in radiographic progression-free survival (rPFS) in patients with metastatic castration-resistant prostate cancer (CRPC) who were treated with enzalutamide compared to patients who were treated with bicalutamide. In a healthcare world that experiences a plethora of high-cost new therapies coming to market in parallel with price increases for existing speciality drugs, pharmaceutical companies are having to move away from traditional pricing models that are largely based on demand and what the market will bear. Most controversially, it suggests chemotherapy for advanced cancer should be carefully considered, as “benefit is likely to be small, and the harm may be great,” the report says. The report, commissioned by the government, suggests patients could have medications four years sooner than at present if NHS processes were streamlined. Officials said the report will help the UK “embrace new opportunities” as it prepares to leave the European Union. "Californians on Nov. 8 have a chance to stand up to the pharmaceutical industry's greed and spark a national movement to end this price-gouging," the senator from Vermont said. "Today, no laws prevent drug companies from doubling or tripling prices. So they just do it." One doctor tried to warn us that my father would be receiving “the strongest chemotherapy on the planet.” Whatever, we thought: This doctor did not know my dad the way we knew him. He is tough, mean even; chemotherapy should be afraid of him, I thought. Jin Cheng, who studies how ovarian cancer develops, withdrew 19 papers from the Journal of Biological Chemistry originally published over the last 15 years, and corrected another. All of the retractions are for image manipulation. The idea is to tap into the tech giants’ cloud computing knowledge and capabilities to create a sustainable model for sharing cancer genomic data with researchers. What the article doesn’t go on to lay out, though, is how all this is going to lead to any cures, for cancer or anything else. That’s actually the hard part; rounding up the ten million genomes will seem comparatively straightforward.